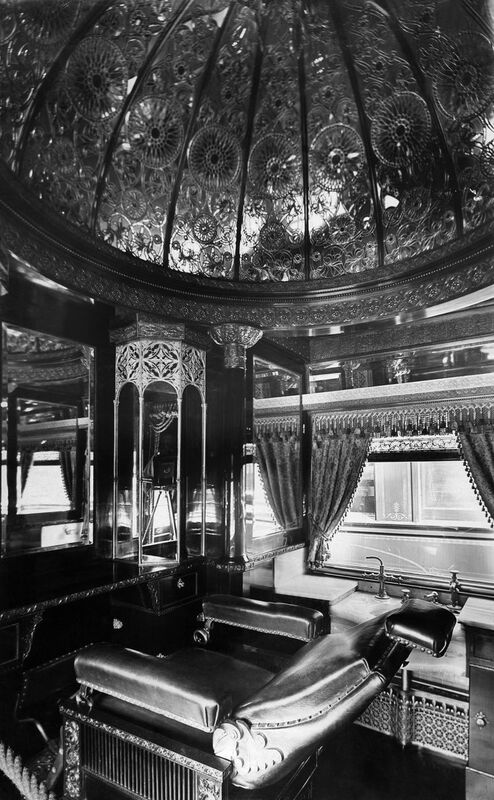 Before private jets, there were luxurious private train cars - Stephen P. Wald Real Estate Associates Inc. Welcome back to Period Dramas, a weekly column that alternates between rounding up historic homes on the market and answering questions we’ve always had about older structures. From private suites on Emirates Airlines to Alessi-designed tableware on Delta, airlines constantly try to offer new levels of luxury to those who want to shell out the cash for a first-class ticket. But outlandish first-class travel is nothing new. Before air travel, the Cunard and the White Star Lines made headlines with new levels of luxury on the seas for wealthy Americans journeying to Europe. And for those traveling on railroads? That’s where George Pullman—and his eponymous Pullman Company—came in. 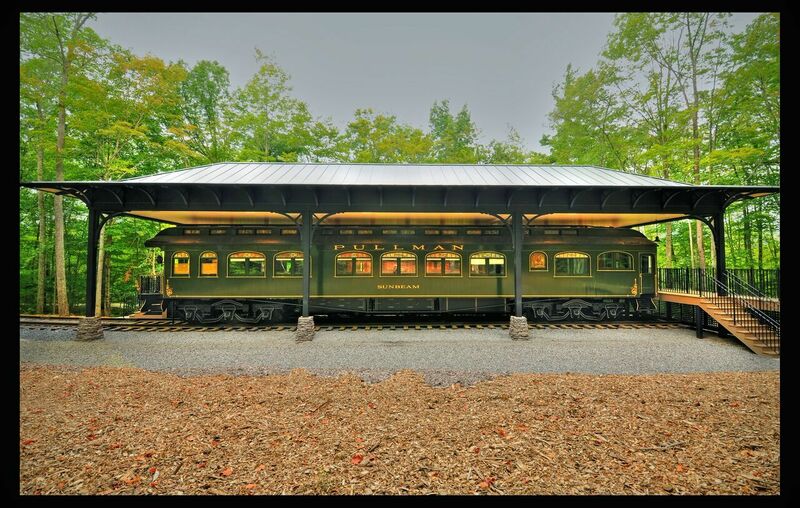 “George Pullman by no means invented the passenger or sleeping car, but he perfected it,” says Bruce White, Pullman and transportation lead at Hildene. Founded in 1867, the Chicago-based Pullman Company produced a range of railroad car types, from dining cars and parlor cars to freight cars. Pullman offered more than just a standard railroad passenger experience. He wanted to cater to his high-end clients with luxurious, hotel-like accommodations. 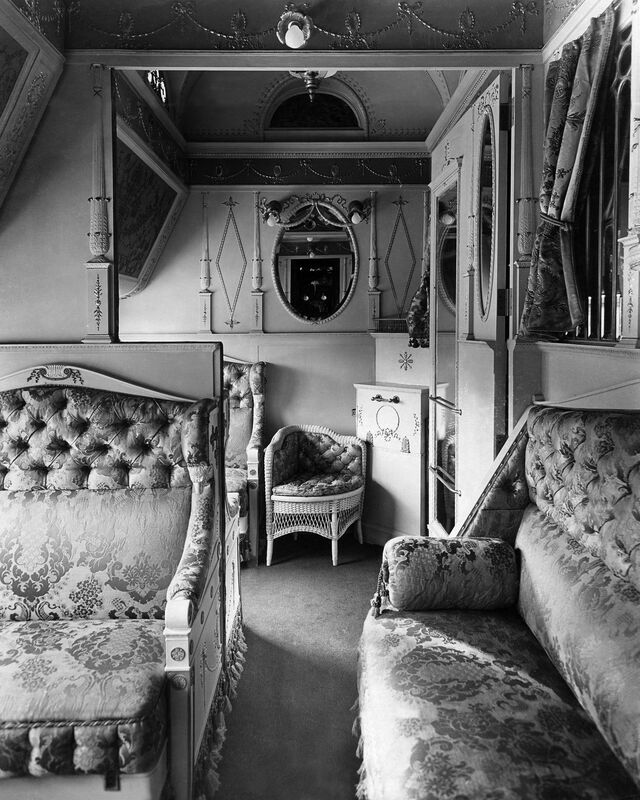 While he made a variety of cars with high-end finishes, the Pullman Company also became known as a purveyor of private rail cars, an accommodation of choice for the super wealthy who wanted privacy and comfort. A barber’s chair in the Pullman Palace Car. Get a load of that domed ceiling! Ullstein bild via Getty Images. These private cars, which attached to commercial passenger trains, were rolling mini mansions. Lettenberger says the layout followed a general pattern: The back of the car had an observation deck followed by a parlor. 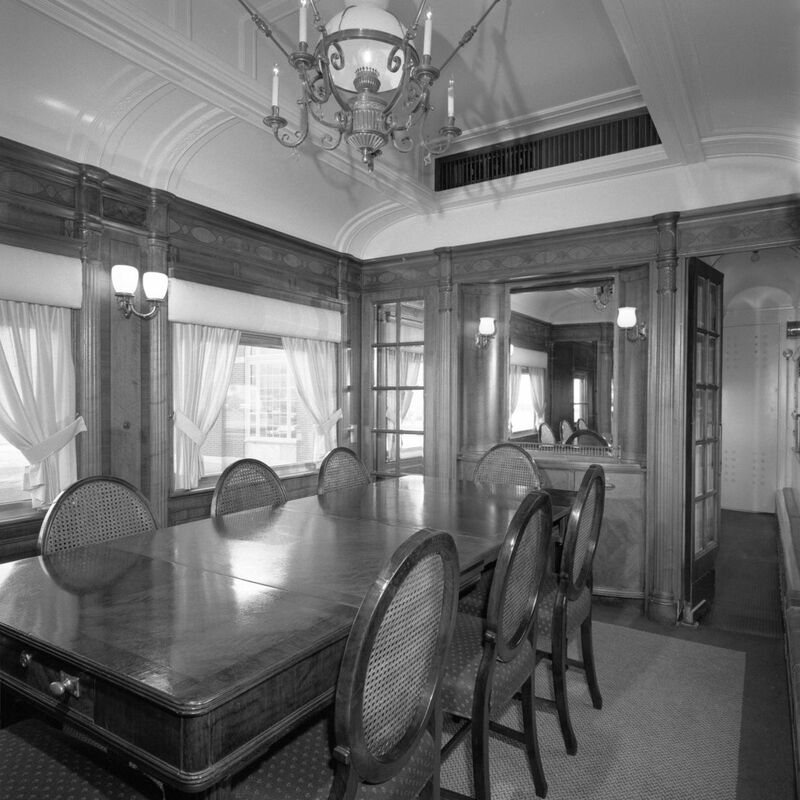 The parlor connected to a cluster of staterooms. A dining room usually followed the staterooms, and beyond the dining room, at the back of the car, were service areas like a pantry and galley. The cars would also be staffed by a team of three people, including a steward, chef, and potentially a personal assistant. Customization options were seemingly limitless. “The Chicago and Northwestern railway—another company that produce private cars—engineered a special frame that created a sunken lounge area and a 15-foot-high ceiling,” says Lettenberger. Writer Charles Clegg and his partner Lucius Beebee had a private Pullman car with a marble fireplace in the lounge, and banker Darius O. Mills had a car with custom wood paneling. The exterior of Mills’s car had a vibrant yellow, brown, red, and dark-green color scheme to make it stand out amongst the rest. The dining room of Fair Lane. The car’s interiors were designed by Sidney Houghton, who also worked on Ford’s house—also named Fair Lane—and his yacht. The car played host to many of Ford’s friends like Thomas Edison. The parlor of the Pullman Palace Car. While some commissioned and owned their own private cars, many—most, even—chose to rent “executive charter” cars instead. Robert Lincoln, the son of Abraham Lincoln, who served as president of the Pullman company from 1897 to 1911, didn’t even have his own car. He would often charter specific cars for his own use. On the grounds of Hildene—the Lincoln family home in Manchester, Vermont—the car Sunbeam is on display for visitors to see. What’s on view today isn’t exactly the car that President McKinley used. Sunbeam was retrofitted in 1903 to be a more general executive charter car. The 72-foot-long and 10-foot-wide car shed its 10-room layout for a seven-room configuration which had sleeping accommodation for up to 18 people. Similarly, these cars would also take years to produce. Lettenberger says it’s not uncommon to hear of a car taking up to four years to be completed. 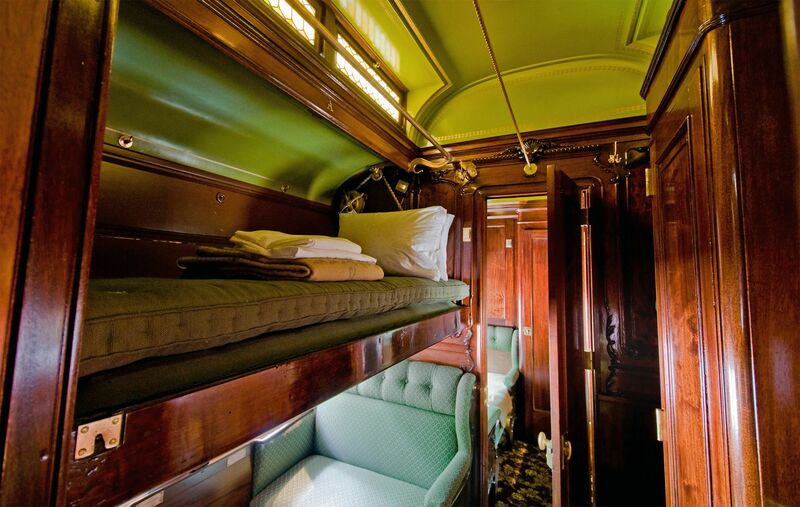 A stateroom in the Pullman Palace Car. However, the world of private rail travel still lives on through the American Association of Private Railroad Car Owners, which has a database of restored period cars available for hire. And yes, Amtrak still supports attaching a private car to the end of a commercial train. All you need to do is charter a car, find a train to attach to, and you’ll be on your way to experiencing travel as it once was.